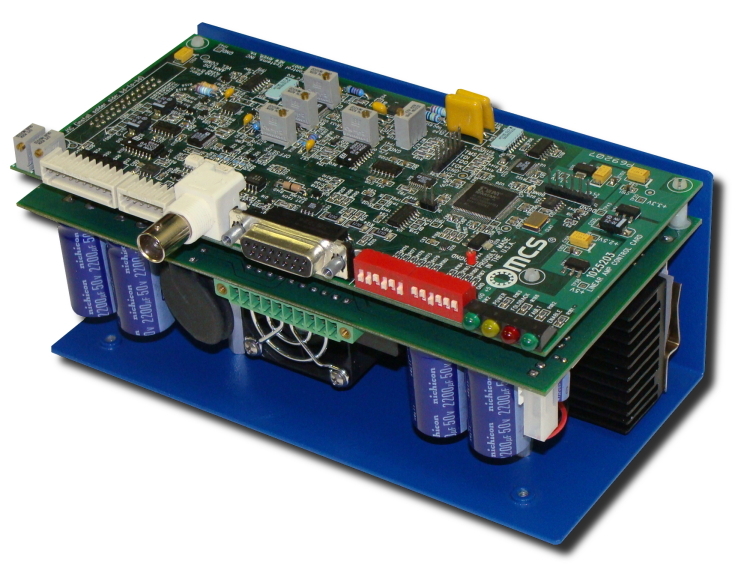 Motion Control Systems' linear amplifiers are high performance servo controllers that produce very smooth sinusoidal motor currents using a linear amplifier output stage. In combination with a sinusoidally wound MCS brushless motor, the linear amplifier can achieve extremely precise rotational control with less than 1% torque ripple, no acoustic noise and almost undetectable levels of electromagnetic interference. 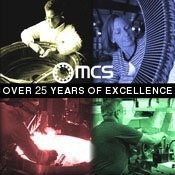 Standard programmable features allow greater design flexibility, easy installation and start-up. MCS high power brushless motor drives combine high bandwidth with high current for demanding direct drive applications up to 100KVA. 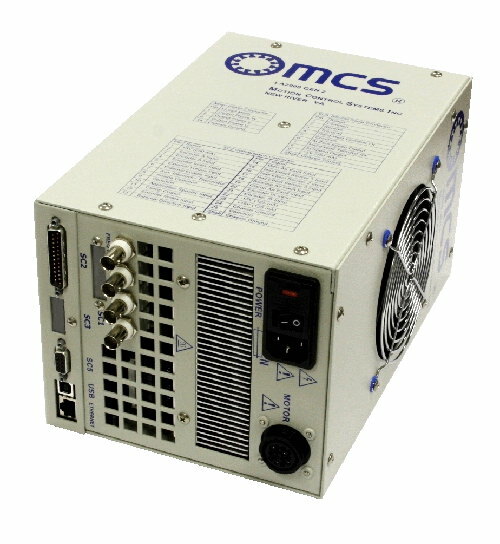 Backward compatibility with all MCS drives..
MCS open-frame linear amplifiers pack essential servo amplifier features into a small, high-value package. The AX is a high performance analog drive that is designed for a variety of direct axis and spindle drives applications. Flexible interface, digital set-up and configuration. 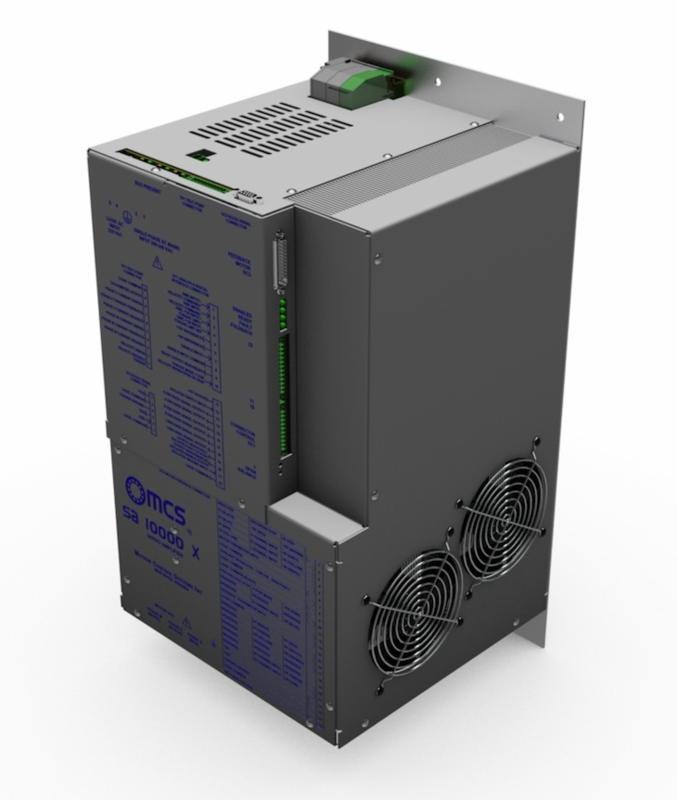 With the introduction of higher-voltage drives, the AX series features are available in amplifiers rated up to 200kVA.